WHAT DO YOU THINK CHIROPRACTIC CAN DO? The chiropractor works on the spine. Inside the spinal vertebra is the spinal cord and the roots, or beginnings, of the spinal nerves, which constitute the communication link between the brain, and everything else like your organs. A Vertebral Subluxation Complex (VSC), interfere with the normal flow of communication between the brain and the body, allowing disease to occur, or, at least, less than optimal function, "dis"-ease, an absence of wellness. Chiropractic does not diagnose or treat disease. That is the practice of medicine. Rather than fighting disease, Chiropractic allows better health. WHAT CHIROPRACTIC CAN DO FOR YOU! Chiropractic removes, reduces and/or prevents Vertebral Subluxation Complex (VSC) with chiropractic adjustments. Chiropractic care allows for the possibilities of more energy, better sleep, decreased or no pain and stiffness, improved athletic abilities, improved breathing and posture, better digestion, a more balanced reproductive system, better elimination, improved circulation, a more balanced immune response, improved concentration, memory, emotional stability, improved interpersonal relationships, better healing, etc. You can expect to feel more vital in general, the way we were born to feel. 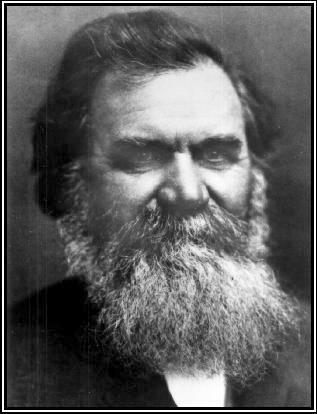 The principle of chiropractic was discovered September 18, 1895 by Dr. Daniel Palmer in Davenport, Iowa. On that day, Palmer was in his office carrying on a shouted conversation with the deaf janitor in the building, Harvey Lillard. Lillard was explaining in shouts to Palmer that, about 17 years earlier, while working in a cramped, stooped position, something "popped" in his back. Since that time, his hearing had become progressively worse. Dr. Palmer, a curious, intelligent man, examined Lillard's back and found a painful, misaligned vertebra at the spot where Lillard had described feeling the pain. He suspected a connection between this misaligned vertebra and Lillard's impaired hearing. He reasoned that is something had gone wrong in his back and had caused deafness, the correction of the misaligned vertebra should bring back Lillard's hearing. Using his hands, Palmer repositioned the vertebra with a gentle thrust to Lillard's back. Lillard's hearing improved immediately. During the next few days, Palmer continued the treatments on Lillard's spine. Within a week, Lillard was able to hear as well as anybody and was telling anybody who would listen about Dr. Palmer's hand treatments. Dr. Palmer's fame quickly spread as he proved that the hand treatments were effective in all sorts of disease disorders and dysfunctions. He became a world-renowned specialist in the spine and nerve system.